When writing poetry, I tend to write late at night, often on scraps of paper and ideally with a pen with very free-flowing ink and a small aperture (e.g., Uniball Vision, fine). This seems to help me tactilely sense that the words are an extension of my thoughts and the movements of my hand. I return to these scraps during the day and type them on the computer for expansion and editing. I’m part of a wonderful writing group of a few trusted fellow writers, so lately I’ve had the benefit of sharing work in progress with the group, which is a great help in the revision process. 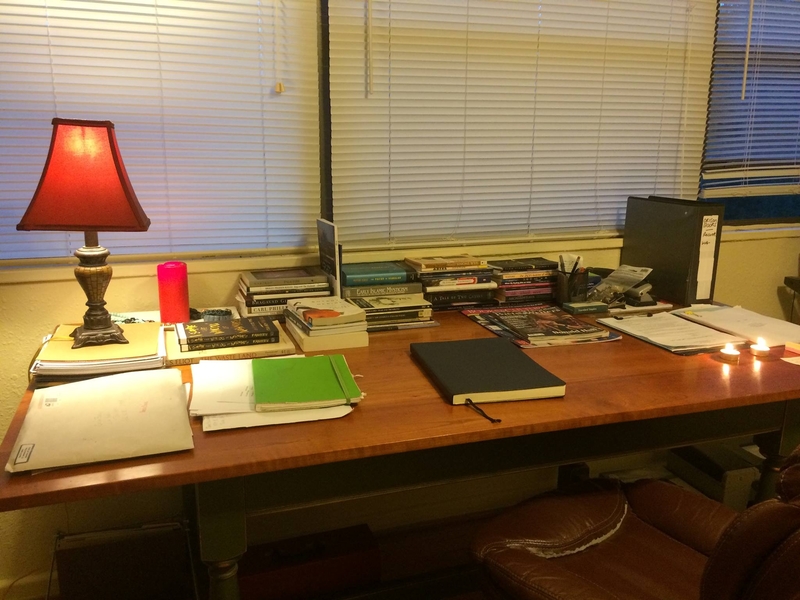 When writing prose, I find I need to take a more disciplined approach, relying less on the vagaries of “inspiration.” I usually give myself an assignment and set aside certain hours during the day to work on it. It’s more like being back in school, though entirely self-guided. For translation work, I give myself similar assignments. I have a lot of jobs! 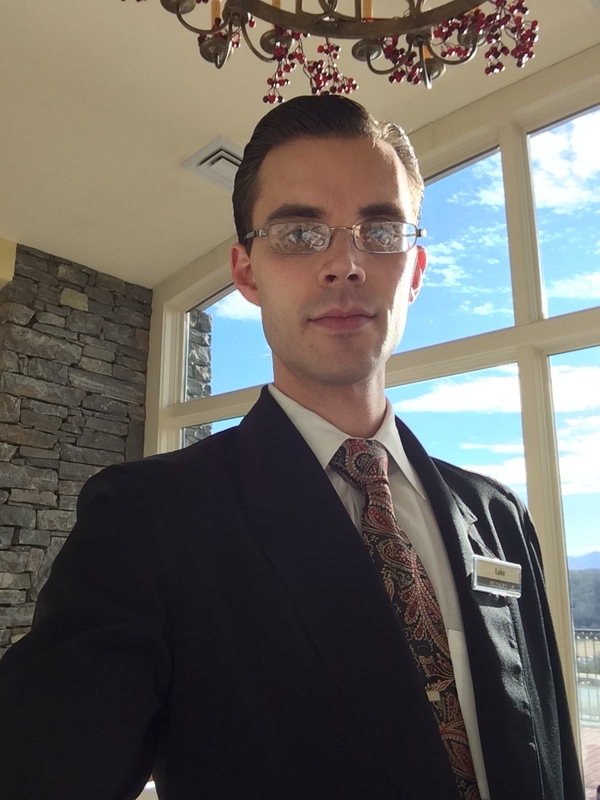 I’m a server at the Dining Room at the Inn on Biltmore Estate; a personal assistant for a private businessman; the founder and editor of a non-profit literary press, Orison Books; the Senior Editor at Asheville Poetry Review; and an occasional dogsitter. Not all of these are paying jobs—Orison Books and Asheville Poetry Review are labors of love. It would be tedious to go into how I got involved in all these various endeavors; suffice it to say I’ve worked in editorial positions at literary magazines for many years, both during school and after (I’ve been at Asheville Poetry Review for 9 years, in fact), and I founded Orison Books, a non-profit literary press focused on the life of the spirit from a broad and inclusive range of perspectives, about a year and a half ago. The paying jobs have come about in the usual way—applying for jobs, working my way into better positions over the years. How do these jobs challenge/influence/inspire your writing life? Can you speak a little bit more to how your non-poetry jobs affect your writing life besides taking time away from your desk? Do you prefer serving tables over the office job? If so, why? I wouldn’t say that my jobs contribute to my writing in a direct way. Perhaps if I were a fiction writer the guests I meet at the restaurant would suggest or influence characters, but as a poet who relies more often on idea and image than on character, this has little impact on my writing. However, I’m very glad to have a physically active job in the restaurant, where at least I’m on my feet and on the move for an extended period of time. I won’t pretend this is any athletic endeavor, but it’s at least more “physical” than sitting in front of a computer at the office job—which bears too much similarity to the physical posture I have to assume as a writer. My editorial work helps expose me to a very wide range of work by other writers, which inevitably influences my writing, and also helps give me a sense of how my work relates to that of my peers—not only the well-known, well-published writers. Thanks so much for this interview, Alessandra, and I greatly appreciate your interest in “working writers,” as I’m sure many others do. And now, back to the work….